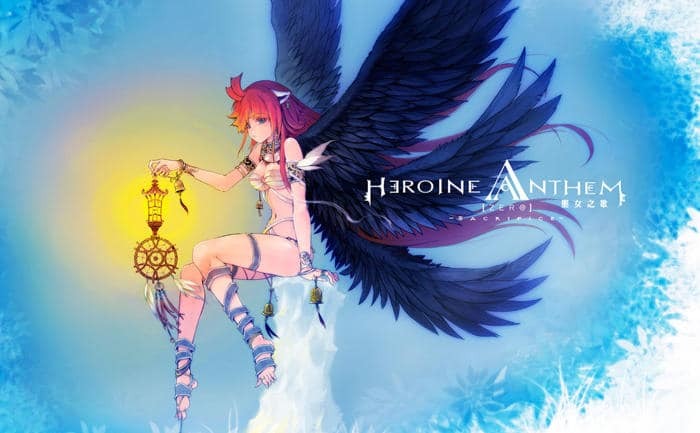 Epic fantasy side-scrolling ARPG Heroine Anthem Zero has been rated for Nintendo Switch by the South Korean video game classifications board. This means that the game is heading to Nintendo Switch, but we just don’t know when until an official announcement is made. We’ll keep a lookout for details as they come. With a emotionally resonating soundtrack and beautiful visual art style, Heroine Anthem Zero is the FIRST EPISODE in an epic fantasy adventure game from WindThunder Studio. An unforgettable experience that blends storytelling, music and stunning visuals, it is over ten years in the making. Come and enter the moving world of adventure from long ago. 1. Available in English for the first time! Heroine Anthem Zero is the first game in the series to support English! 3. Exquisitely detailed 2D visuals, bring the world of Heroine Anthem Zero to life with its vibrant characters and stunning world setting. 4. A hauntingly beautiful soundtrack, following in the tradition of the Heroine Anthem series: famous composers (known for their work in RPG classics such as Chinese Paladin series) as well as Japanese composers new to the series have joined forces to produce unforgettable music. 5. Weapons and skills — Character progression is closely tied to the weapon and items in Heroine Anthem Zero, switching weapons changes damage and other attributes,as well as attack motions. Weapons can also interact with the stage levels. 6. Explore carefully crafted side-scrolling maps and dungeons, solve interactive puzzles and discover hidden treasure locations for powerful items.